At Stevens Creek Toyota we strive to have our customers experience be the very best. Since its founding, Toyota’s cornerstone principle has been “the customer always comes first” and we truly believe in this concept. We are invested in solving your concerns because we understand it’s the best way to make you a lifetime customer. The Customer Relations Department is the heart of Stevens Creek Toyota. It mediates between the dealer and the customers by providing assistance and helping resolve any concerns related to your experience. In order to improve our Customers’ Satisfaction we continuously need to evaluate our service levels, this is the reason why, your opinion is of great importance to us. 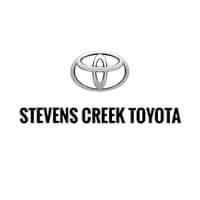 Call us at (408) 984-1234 to learn more about Stevens Creek Toyota and experience for yourself how we always put the customer first.